LEDJ has combined its breakthrough Tri Colour LED technology with a compact-profile Omni Stage Par Can, introducing the new Omni Tri 9. 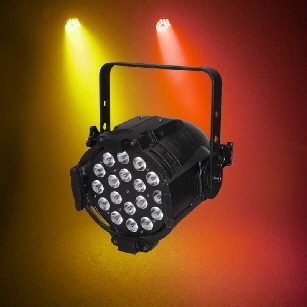 A DMX controllable high output RGB theatrical light with 9 x 9W LEDs, the Omni Tri 9 will outshine bigger, more energy hungry par cans in almost any application. 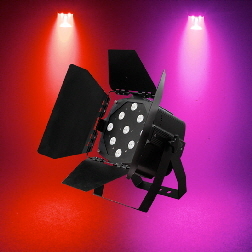 Thanks to its cutting edge Tri Colour LED technology, the unit produces superior mixed colours to those created by conventional LED RGB par cans. Each of the 9W LEDs is actually a 3 in 1 lamp, comprised of 3 different coloured LEDs: 3W red, 3W green and 3W blue. This allows RGB colours to be created within each individual lens, so that all 9 lamps remain on during the colour mixing process. The result is smoother, more even mixed colours, without the distracting multi-colour shadows that tend to appear around objects illuminated by RGB fixtures with single-colour LED lamps. 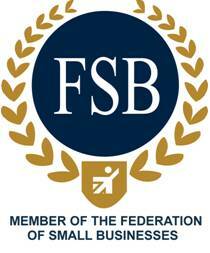 Another advantage of tri colour technology is that it creates a better range of white colours. Featuring flicker-free operation, along with its evenly blended colours and high-quality whites, the unit is ideal for video production, too. 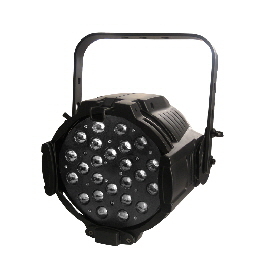 The Omni Tri 9 can be operated in DMX, Stand alone, Sound active and Master/Slave modes. It includes a dimmer, variable strobe and built-in colour macros to match popular gel colours. All are selectable via the LCD 4 button display on the rear of the unit. Beam angle can be adjusted down from its 25 degree LED output with the supplied barn doors. LEDJ launches its new Alu Zoom Par 64. 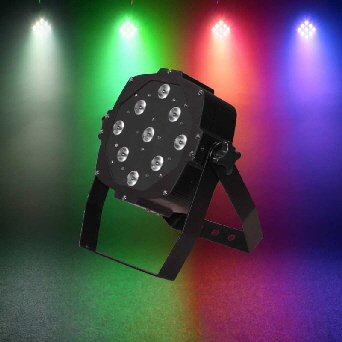 This high output DMX compatible Alu Zoom Par 64 is loaded w ith professional features including smooth RGB colour mixing, electronic dimming and colour strobing, making them not only a great stage light, but an impressive effect for nightclubs, bands and mobile DJs etc. 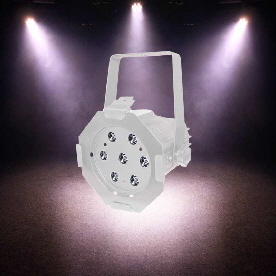 The Alu Zoom Par 64 has all of the same great features as the Alu par 64 except now you can control the beam angle between 10 and 60 degrees either via the built in LED display on the rear of the fixture or via DMX control. These new Alu Zoom Par 64 will give the entertainer, band, mobile DJ or venue act that extra WOW factor as part of the stunning light show. 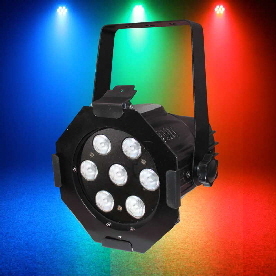 The Alu Quad features a revolutionary new 4-in-1 LED engine and produces no multi-coloured shadowing thanks to its 18 x 8W quad coloured LEDs (12 x RGBW, 6 x RGBA). Since each individual LED incorporates a RGBW or RGBA chip behind a single lens, shadows and unevenness within the field are things of the past. Housed inside the rugged cast aluminium chassis is an advanced LED control panel giving the ability to run built-in programmes and perform full RGBW/RGBA colour mixing with or without DMX control. After a very successful launch from the LEDJ Alu Par Series, LEDJ are proud to introduce the Alu Par Compact Tri into the vastly growing Series. The Alu Par Compact Tri From LEDJ features 7 x 3W Mega Bright Tri-colour LEDS that are contained in a small but yet very robust aluminium housing. Featuring 6 DMX channels, this unit is loaded with professional features including smooth RGB colour mixing, electronic dimming and colour strobing, making them not only a great stage light, but an impressive effect for nightclubs, bands and mobile DJs etc. With the 3-pin XLR in/out sockets they can be linked together in multiples to create some outstanding arrays to bring any sort of light show to life. With a very low power consumption and a easy to use 4 push button display on the rear of the unit, the Alu Par Compact Tri will give the entertainer, band, mobile DJ or venue act that extra WOW factor as part of the stunning light show. These can be used for video. After a very successful launch from the LEDJ Alu Par Series, LEDJ are proud to introduce the Alu Par Compact 3200k into the vastly growing Series. The Alu Par Compact Series From LEDJ features 7 x 3W Mega Bright LEDS (3200k) that are contained in a small but yet very robust aluminium housing. 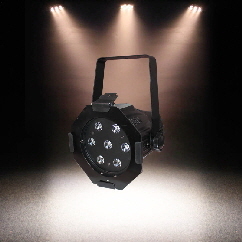 Featuring 2 DMX channels, the Alu Par Compact 3200k can be dimmed from 0-100% and if needed strobe from slow to fast can be added to the light display or show. With 3-pin XLR in/out sockets they can be linked together in multiples to create some outstanding arrays to bring any sort of display to life. With a very low power consumption and a easy to use 4 push button display on the rear of the unit, the Alu Par Compact 3200k is ideally suited for shop or window displays, bars and small events. The Slimline 9Q8 flat LED Par can features LEDJs, revolutionary 4-in-1 quad chip technology in a housing that is as flat as a pancake. The 9Q8 is the most versatile flat PAR out there. Since each individual LED incorporates a red, green, blue and white chip behind a single lens, shadows and unevenness within the field are things of the past. An advanced LED control panel gives the ability to run built-in programmes and perform full RGBW colour mixing with or without DMX control.